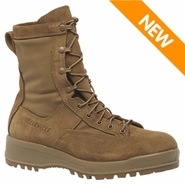 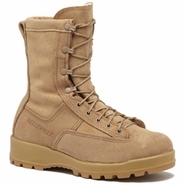 Belleville makes some of the best selling army boots on the market today. 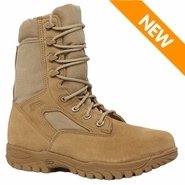 The most popular models are the entry-level 300 DES and 390 DES ST. 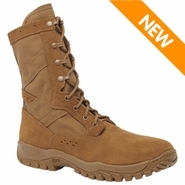 These models are designed for hot weather and are unlined for maximum breathability to keep your feet cool and dry. The 310 and 310 ST models step up to lightweight Meramax midsole for a more tactical style feel and are more adequate for running or other physical activity. 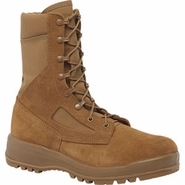 The 340 DES and 340 DES ST feature boot uppers that are constructed from flame-resistant Nomex fabric. 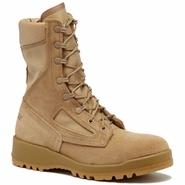 These two models are approved by the U.S. Army for use in combat vehicles (tanks). 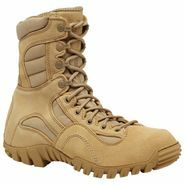 The 333 is a tactical desert model that features a low profile design and aggressive tread pattern for uneven and loose terrain. 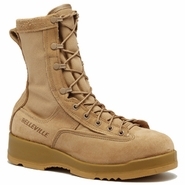 The 330 DES is their hot weather flight approved desert boot with steel toe protection.Belleville also features cold weather tan footwear such as the 790 and 790 ST which both have a Gore-Tex waterproof bootie integrated into to boot lining. 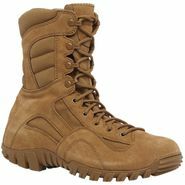 These boots are also Army flight approved and are an excellent choice for cold and wet weather. 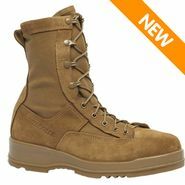 The models 795 upgrades to 200 grams of Thinsulate lining for extra warmth for colder weather in addition to the waterproof bootie. 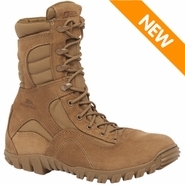 For extreme cold weather, the 775 and 775 ST feature 600 grams of Thinsulate insulation and are waterproof. 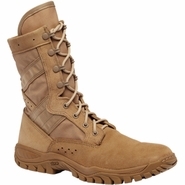 These models will keep your feet warm in sub-zero temperatures all day long.